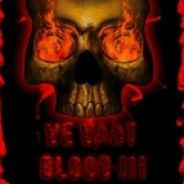 Steam Community :: Group :: We Want Blood III! ABOUT We Want Blood III! Yep, a Blood 3 would be nice and quench my thirst. Blood 2 just made me thirsty. Blood 1 was just an appetizer. At least Blood and Blood 2 should be remastered like Duke Nukem 3d: Megaton Edition. Actually, Devolver Digital tried to get the Blood licence (if I'm not mistaken) but Atari went full r.etard and made them 'too expensive'. I mean, how much do they want for a franchise they don't even care? Assholes. There is actually a group promoting Blood III!?!? I'm in!! I can't translate, my english level is too bad.